Euro 4 compliant too !! 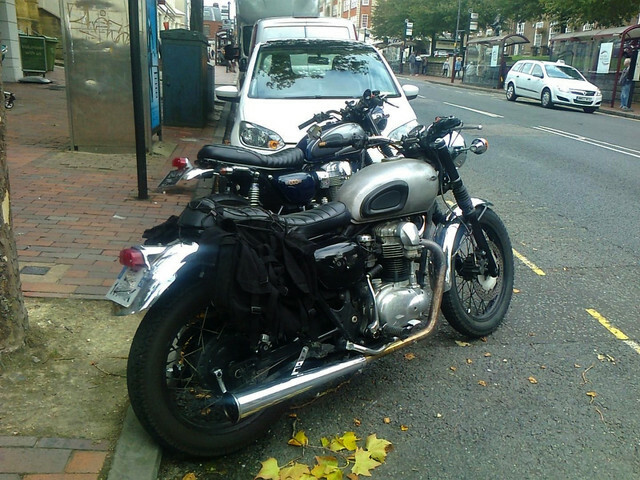 I have owned a W650 since 2012, and it was my first bike after a few decades when motos got on the back burner... I love that machine, would never get rid of her. It's an old, 60s concept with a few modern features (elctronic ignition, front disc, oil tight bulletproof engine) and rides, feels and look like a real classic (CBG actually lists the W650 in its "Japanese Classics Guide"). The 2019 W800 gets closer to the modern retro concept that is the Z900RS for instance, and further from the ancestors (W650, W3, W1..), and obviously Kawasaki aims at a part of the market held by "the magic tank badge", Triumph. I always thought the bevel driven cams on the W650 were dropped on the later 800. The article in the link suggests they've reverted back. "A welcome return for Kawasaki's classy little bevel-drive retro 800 twin"
If that's the case, very cool. The bevel drive was never dropped from the W lineup. The 800 merely went from 675cc to 783cc, got fuel injection and a catalyst converter, and lost the kickstart. I must admit that the reason I went off the W800 was because I was not so reliably informed, that they'd ditched bevel drive due to expense of manufacturing. The only thing is my dealer had a new one that remained welded to the showroom floor for over two years despite heavy discounting. Perhaps now the time right. Not surprised. The W800 was not a great seller, and the W650 was even worse. It really got some traction after the "custom bike" movement took hold in the late 2000, and then prices shot up for W650s and airheads alike. 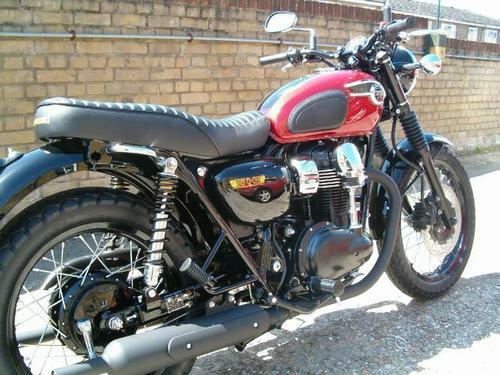 Sorry if I'm repeating myself, but when I was renting a bike back in 2015 near Cheltenham, the dealer still had an MY12 Special Edition in the showroom and two or three more MY11 and 12 in crates in the back.... Not a best seller for sure. I suppose they're up against Triumph more than any other manufacturer with this. With this sort of bike, the badge on the tank is what matters and when it comes to vintage looking parallel twins, very little if anything can match the kudos of the Bonneville.